Yesterday was an event that no one could have predicted a few years ago… World Emoji Day. Their universal nature has seen them being increasingly used as a tool in global advertising and marketing. However, when it comes to using emojis outside of the sphere of social communication, how useful are they? 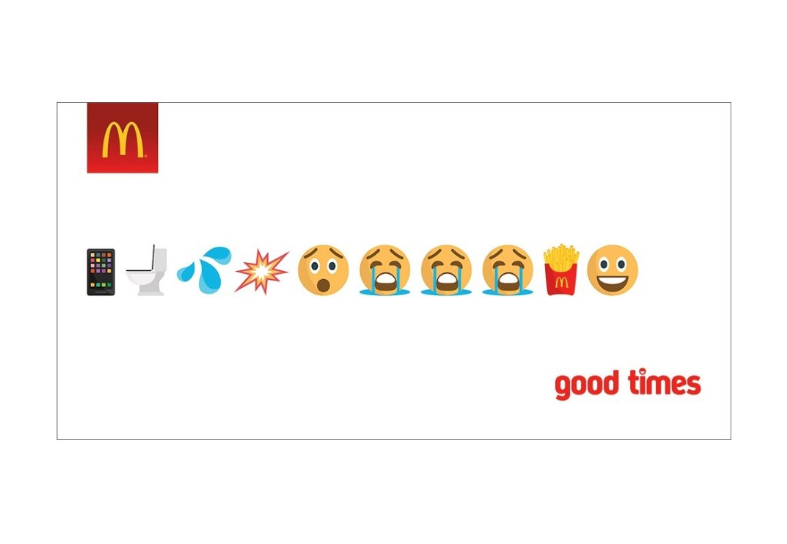 Emojis are seen more and more in global ad campaigns, so let’s take a look at the influence of culture on interpreting emotions. 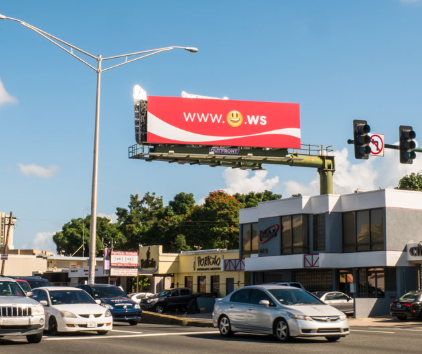 Coca-Cola used emojis expressing positive emotions in its ‘Happiness is Universal’ campaign that saw people across the world using ‘happy’ emojis in a URL to direct them to an emoji keyboard (creatively named ‘Emoticoke’). While psychologists have categorised seven universally fundamental emotions, culture still does impact upon emojis as different cultures have various names and labels for emotions (did you know Germans call the feeling of joy at someone else’s misfortune schadenfreude?). Within these categories, evidence suggests that positive emotions are more similar across cultures than negative emotions, so it’s more beneficial to use emojis that indicate positive emotions rather than negative. There are a chain of events when sending an emoji which risk misinterpretation; translation of emotion from a thought to language to an emoji to a receiver viewing the emoji and then back to their thoughts and their resultant emotion. The way people interpret emojis has already been widely examined. The ‘epidemiology of representations’ looks at how our brains are impressionable of culture in the same way as our body is at risk to disease. Ultimately, this leaves plenty of room for misinterpretation within the same culture, and is highlighted further across cultures when the translation techniques for emotions into emojis vary more widely. Beyond emotion-based examples there have been multiple other instances of emojis used to generate awareness of brands. Mentos developed an ‘Ementicons’ emoji keyboard, for example, while Taco Bell successfully campaigned for a taco emoji that now appears on all users’ keyboards. The epidemiology of representations is still relevant to these emojis as they can become confusing when communicated across cultures. 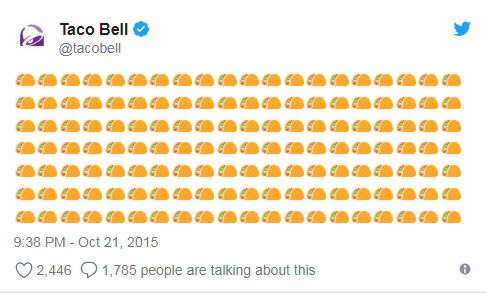 For example, the relative importance of a taco may be higher in America than in Asia. We can already see this in the usage of emojis. Americans project a high focus on celebrity lifestyles and have emoji’s for various celebrities, such as Kim Kardashian. Japanese users have a set of emojis, including a person bowing, that are not relevant to other cultures. People in Arab countries use flower and plant emojis four times more than those in non-Arab countries. These examples show how culture emanates through emojis and how their simplistic nature can be harnessed as a powerful social monitoring tool. Take happiness, for example. Given the full array of the Oxford dictionary, we can choose any word to specifically describe our happiness. From elation to euphoria, there are wonderful nuances to language that can describe exactly how we feel. However, when given only emojis to describe how we feel, we are limited to a small handful of pre-determined, limiting emotions that enable social analysis. 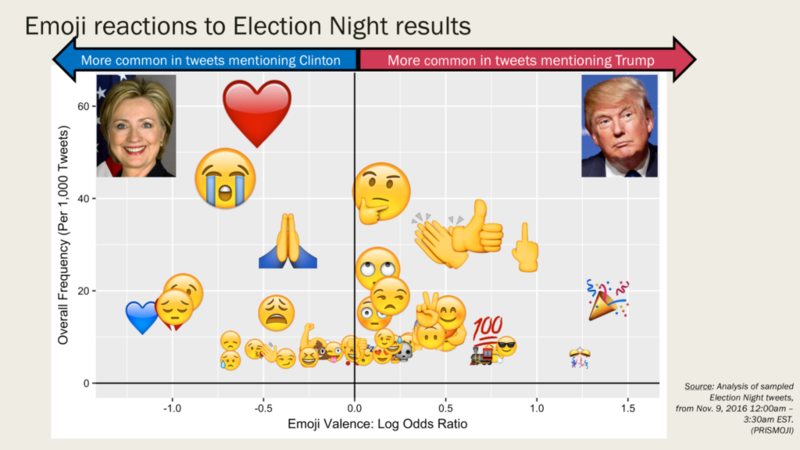 As many emotions can be captured by one emoji, by measuring the frequency at which every emoji is used in social media postings, it is possible to analyse the reaction of the public to an event. Multiple studies have been carried out to assess people’s reactions to large events, such as this year’s US presidential election and UK General election. There are also some interesting studies on solidarity in crisis events over social media showing how more posts can be captured when analysing emojis. Emojis therefore play a role in automatically identifying and reinforcing solidarity messages. When the ambiguity of the emotion behind emojis is removed, the simple meaning left can be very powerful for multi-national companies in their marketing and social analysis. Ironically, while emojis were originally created to enhance one-to-one communication, when it is understood what effect cultural differences has on them, it can be seen how relevant they are when targeting mass audiences. We can therefore echo Barack Obama in expressing thankfulness for emojis.